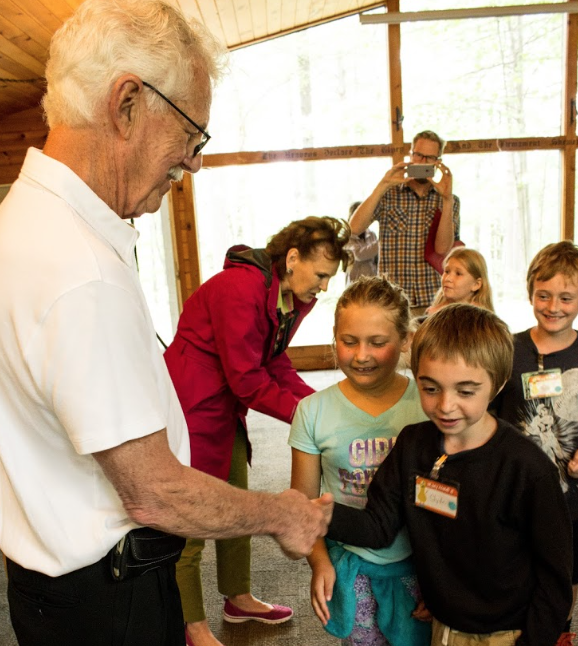 State Senator Darwin Booher and State Representative Daire Rendon visited the Au Sable Institute today to pay tribute to the Institute’s 60th anniversary. The two legislators presented a special tribute to the faculty and staff of the Institute and applauded their commitment to inspiring people to serve, protect and restore the earth. The tribute was signed by Senator Booher, Representative Rendon, Lieutenant Governor Brian Calley and Governor Rick Snyder. On hand to accept the tribute were Dr. Fred VanDyke, the Executive Director of the Au Sable Institute, and Dr. Harold Snyder, the person who founded the Institute sixty years ago. Located on Big Twin Lake in northern Kalkaska County, the Au Sable Institute is a national leader in Christian environmental stewardship. The nonprofit provides a wide variety of environmental science courses each year to students from more than 50 Christian colleges and universities in the U.S. and Canada. Staff of the Institute also offer environmental education programs to K-12 schools throughout northern Michigan. The Institute has taught over 130,000 students since its inception and currently serves over 2,500 students a year who come from both public and private schools. 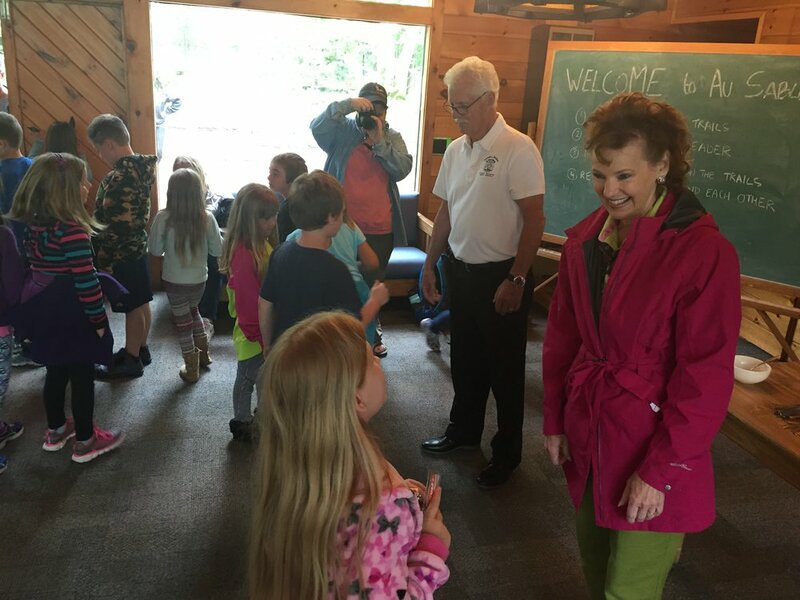 Prior to presenting the tribute, the two legislators met with a group of first and second grade students from Rapid City Elementary School who were on a field trip to the Institute to learn about native plants and vegetation of northern Michigan. The young students took time to share some of the lessons they learned during their time on campus, such as the importance of flowers and seeds. The students also encouraged the legislators to protect their favorite wild animals, especially foxes, deer and snakes. Newer PostLook up and see!